Justin Timberlake can do it all. He can sing, dance, act, make adorable human babies and apparently he can time travel. Timberlake stopped by The Graham Norton Show, along with Anna Kendrick and Daniel Radcliffe, to promote his new movie Trolls, which co-stars Kendrick, and apparently also to learn that he’s a magical time traveler. 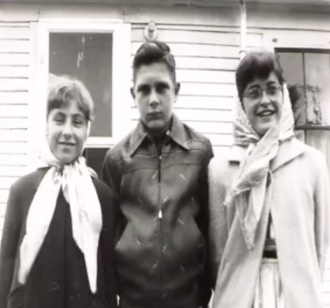 Norton made a major discovery that he obviously had to bring up to Timberlake, because Timberlake is either a legit time traveler or he happens to like identical to many men throughout history. We’re choosing to believe the former. 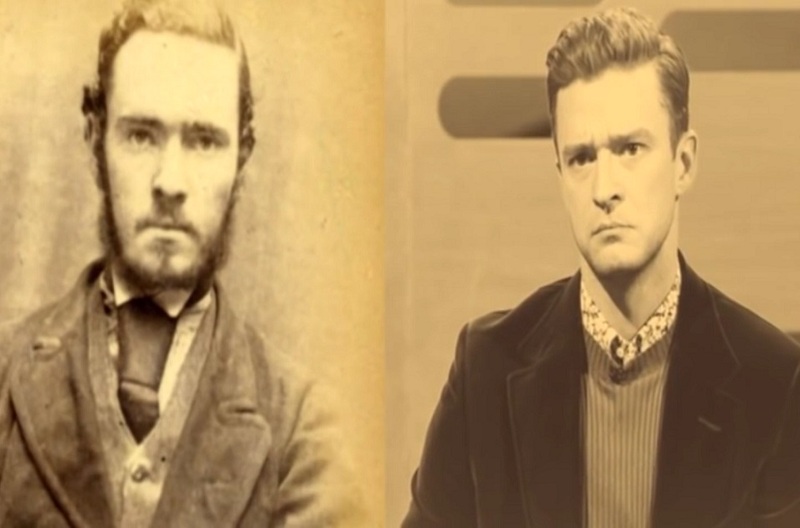 Timberlake looks almost identical to a man from 1870. It’s actually pretty alarming. Radcliffe was also found to look like eerily similar to a slew of men (and women) who lived long before he was ever born. Back in June, Jimmy Fallon caught on to the discovery and showed the audience photographs of people he resembles throughout several centuries. But the show wasn’t only about time traveling, there was also talk of the song “Can’t Stop the Feeling,” which Timberlake wrote for Trolls. And then the conversation turned into talk about everyone’s favorite dance moves. So of course Timberlake showed of some of his moves (with an audience member!). Check out either the entire show, or skip ahead to the 7:20 mark to see proof of Justin’s time-travelling abilities. Either way, you’re going to love it! Trolls is set to premiere on November 4th.